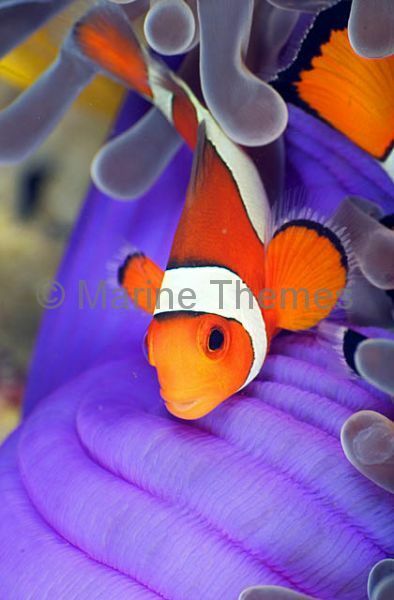 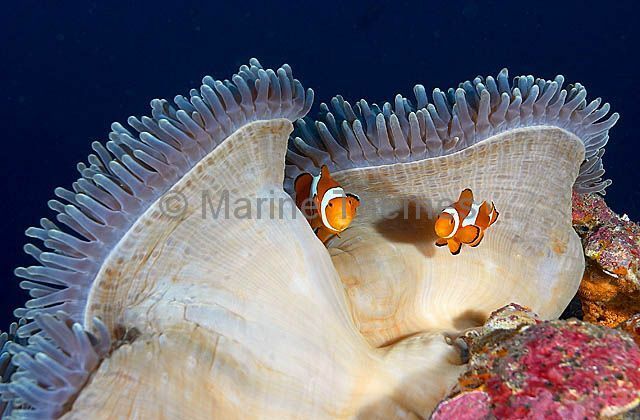 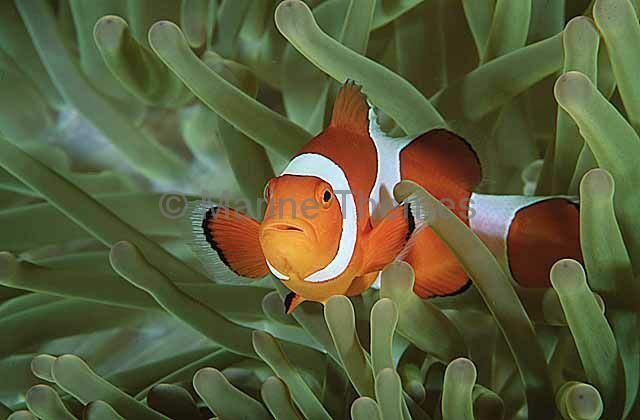 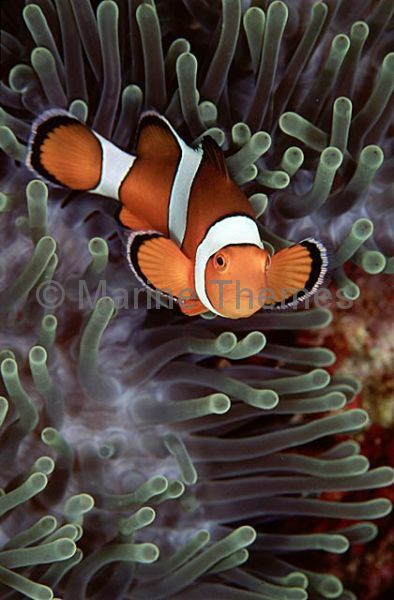 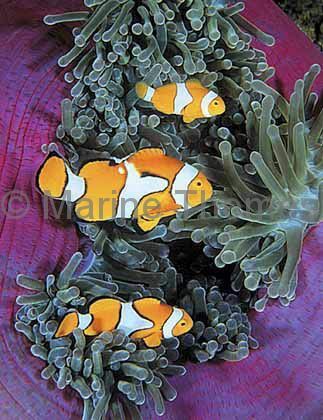 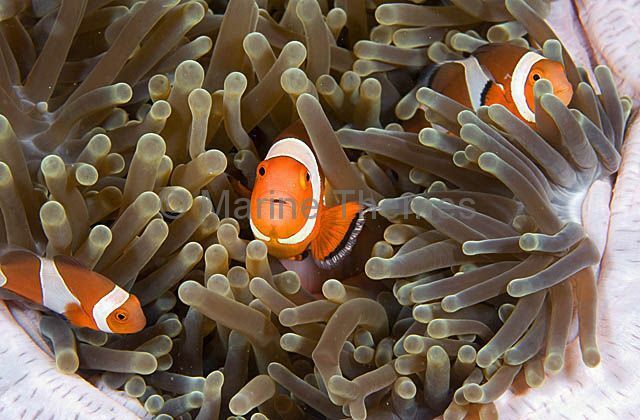 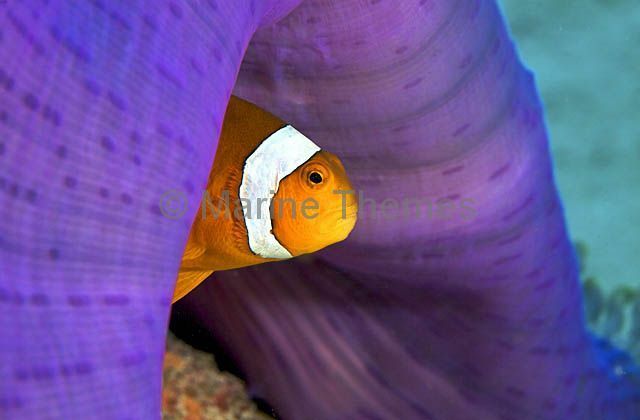 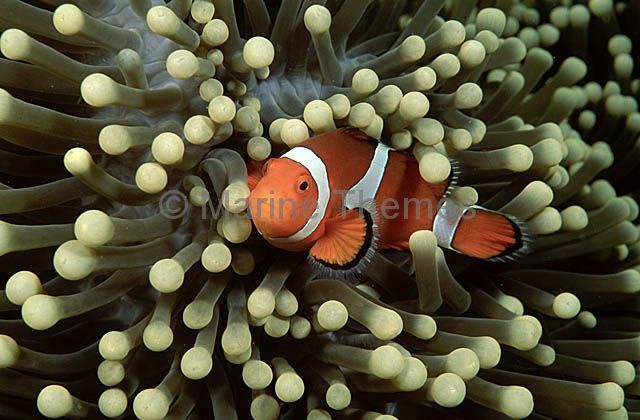 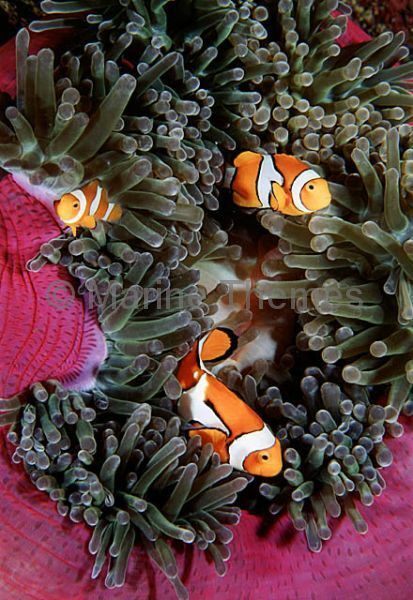 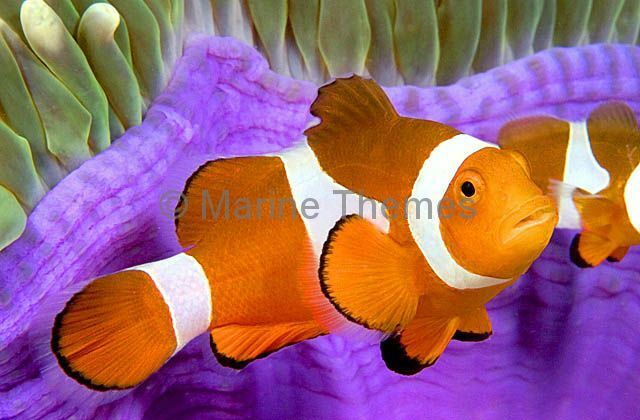 False Clown Anemonefish (Amphiprion ocellaris) in host sea anemone. 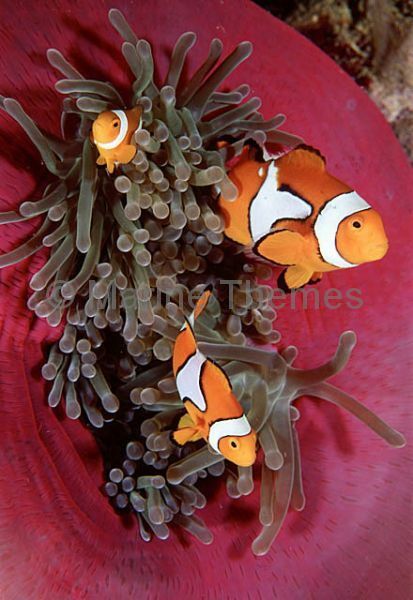 False Clown Anemonefish (Amphiprion ocellaris) on Magnificent Sea Anemone (Heteractis magnifica) among other soft corals on reef. 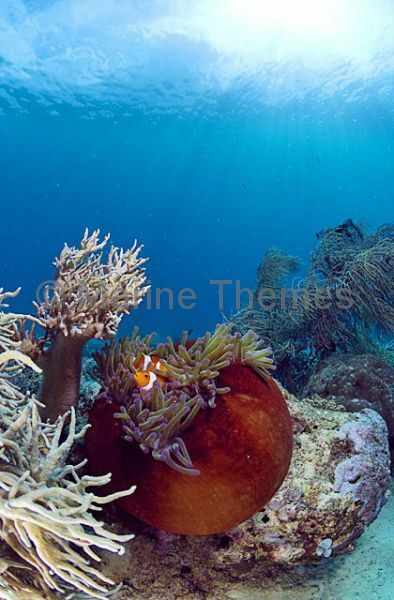 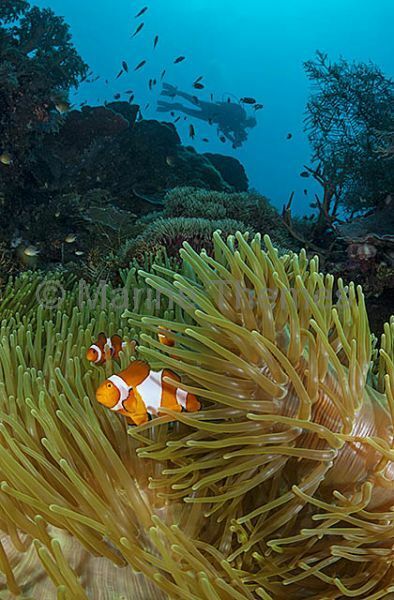 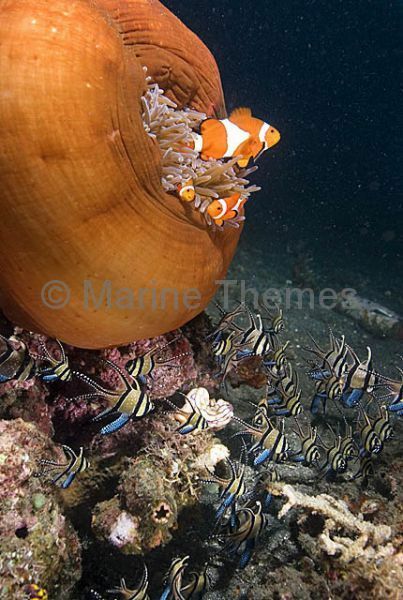 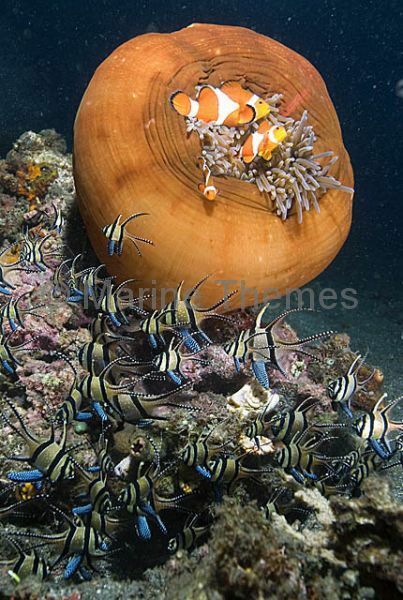 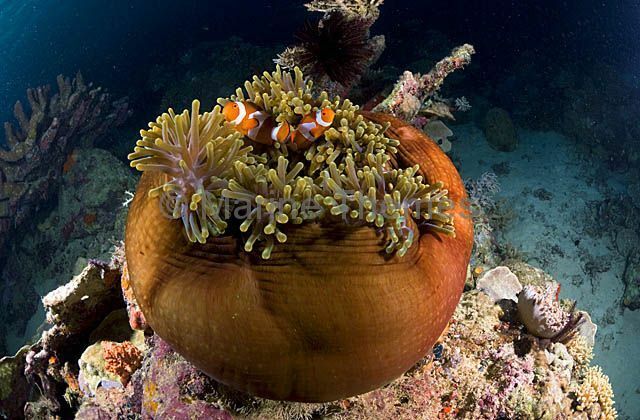 False Clown Anemonefish (Amphiprion ocellaris) on Magnificent Sea Anemone (Heteractis magnifica) with diver.